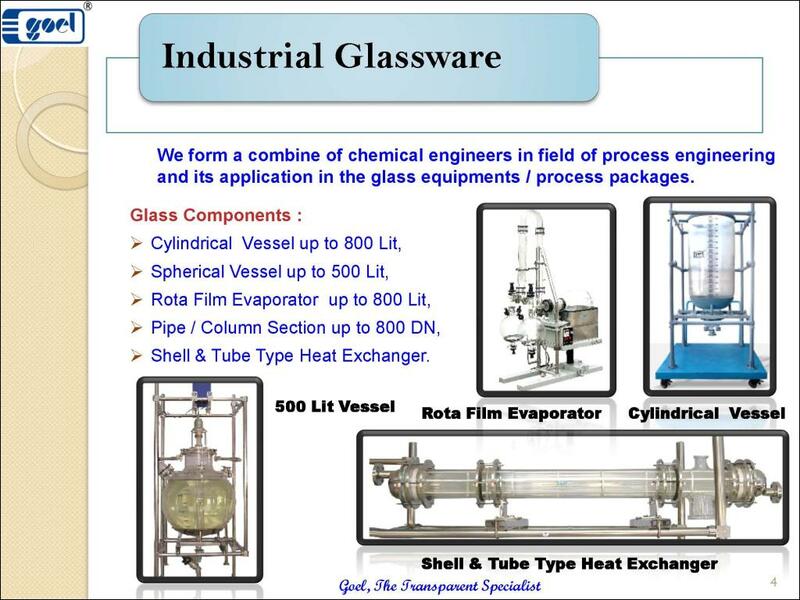 This unit is used for carrying out reactions under stirred condition and with provision for simple reflux distillation. The reaction vessel is mounted in a heating bath and fitted with addition vessel, motor-driven stirrer and provision for condensation with refluxing. 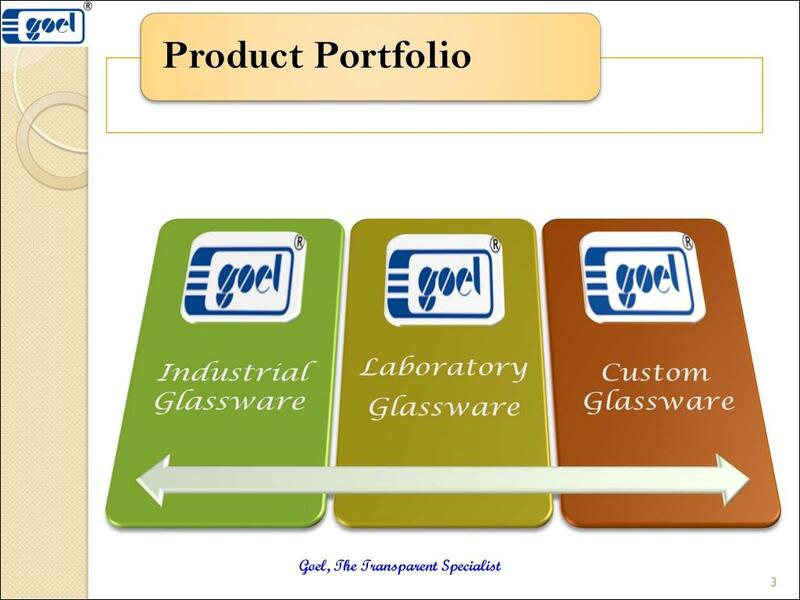 The product is sub-cooled and collected in a receiver. 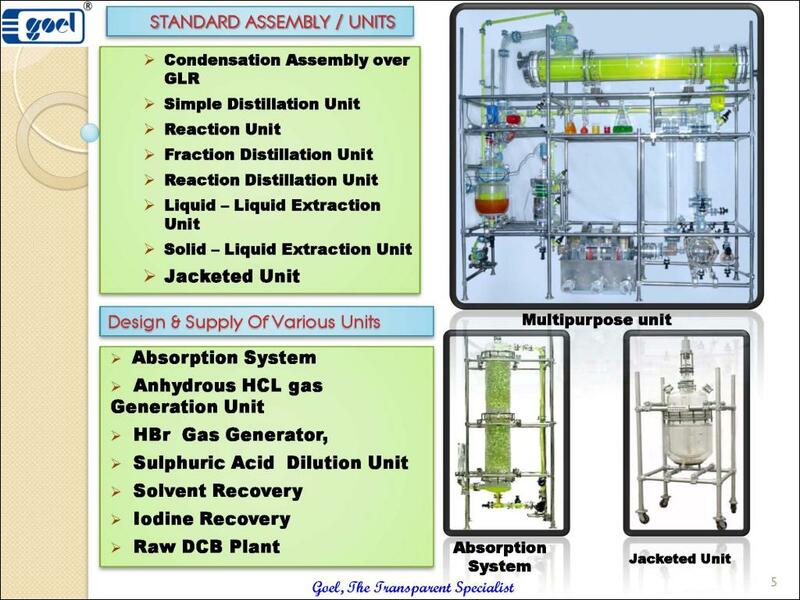 Above table shows data of main components of the reaction unit such as capacity of spherical reactor vessel, heating bath watt, addition vessel capacity, size of vapour line, condenser HTA, cooler HTA, and receiver vessel size. There is an optional arrangement with cylindrical reactor vessel with metal jacket, inclined condenser to fit the unit in minimum height. 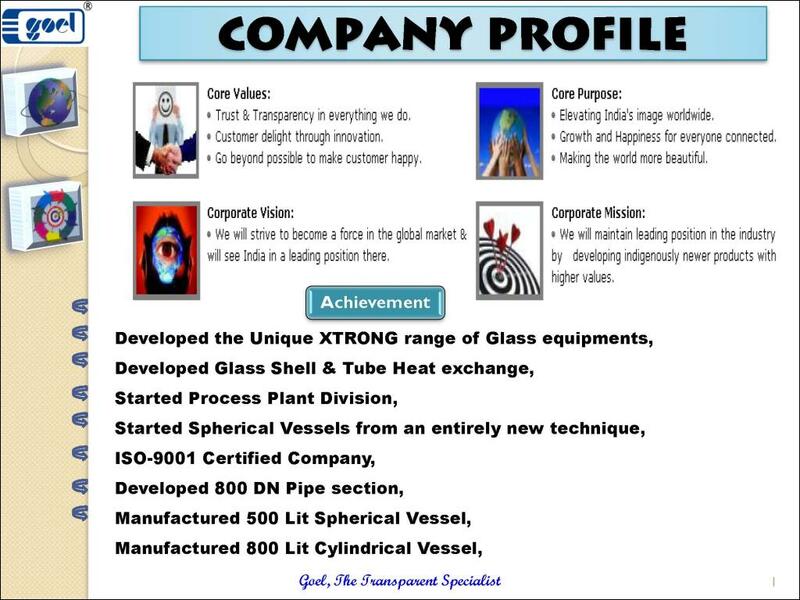 We offer the clients with high performing Coil Type Heat Exchanger that is manufactured from high –grade quality components. Our range of Coil Type Heat Exchangers is designed to meet the requirement of various industries. Avail Coil Type Heat Exchanger, which is available as condensers, boilers and immersion heat exchangers. We offer the clients with high performing Coil Type Heat Exchanger that is manufactured from high –grade quality components. 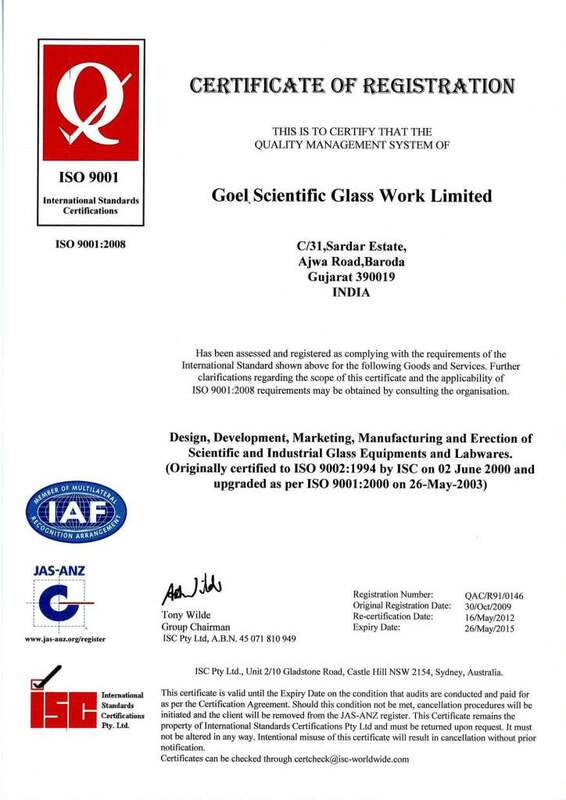 We would like to inform you that we are the leading Borosilicate glass 3.3 process plant equipment manufacturers and exporter in India and abroad. 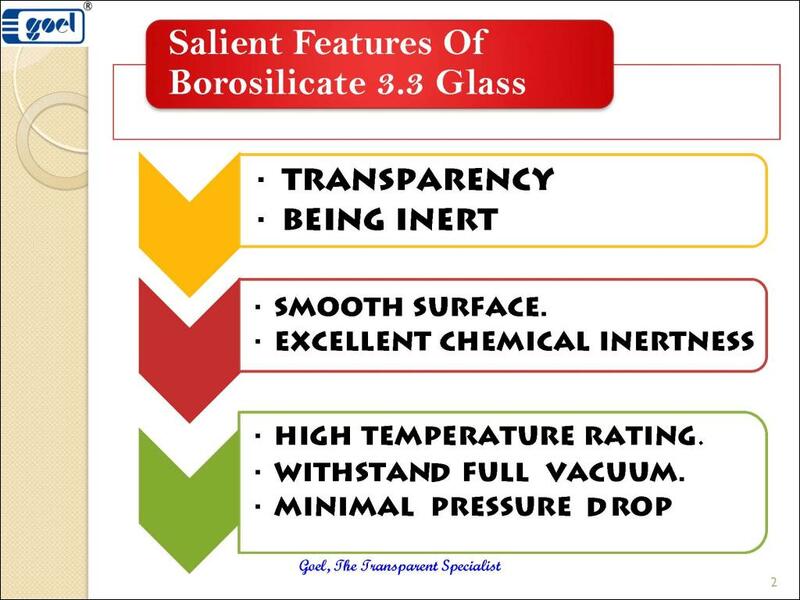 Borosilicate Glass is the most suitable M.O.C. 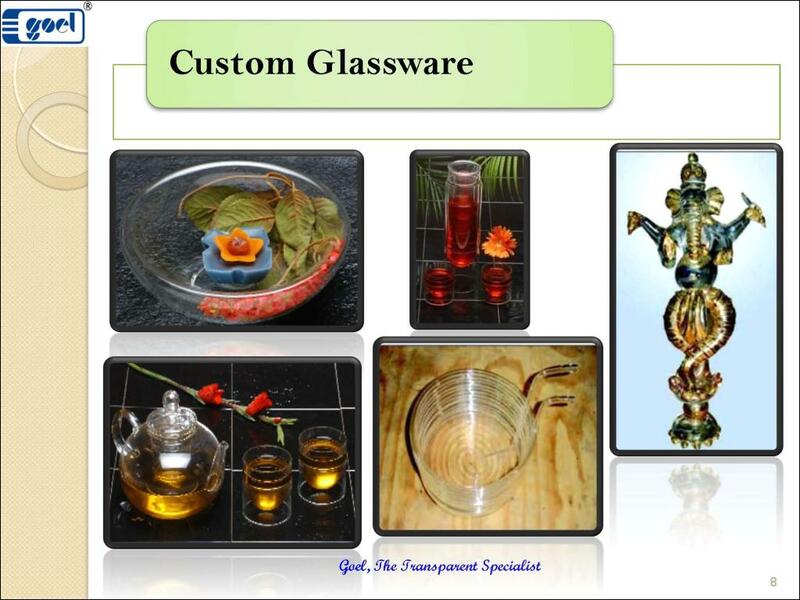 for chemical equipment due to its inertness, visibility and smooth surface. 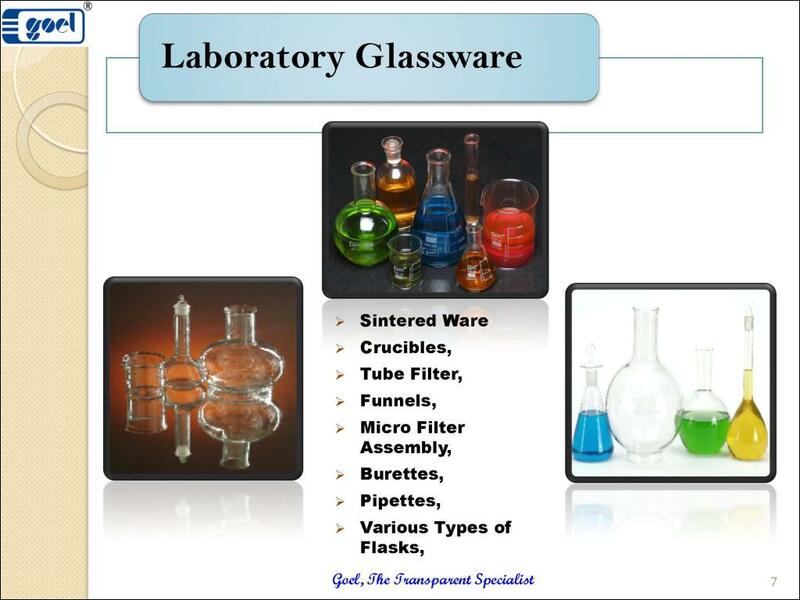 We are mainly manufacturer and supplier of Laboratory, Industrial and custom glassware. 1. Rotary evaporator up to 800 L (Largest in the world). 2. Spherical vessel up to 500 L.
3. Cylindrical vessel up to 800 L.
4. Heat Exchanger up to 50 sq. m.
5. Column and its components up to 800DN. 7. 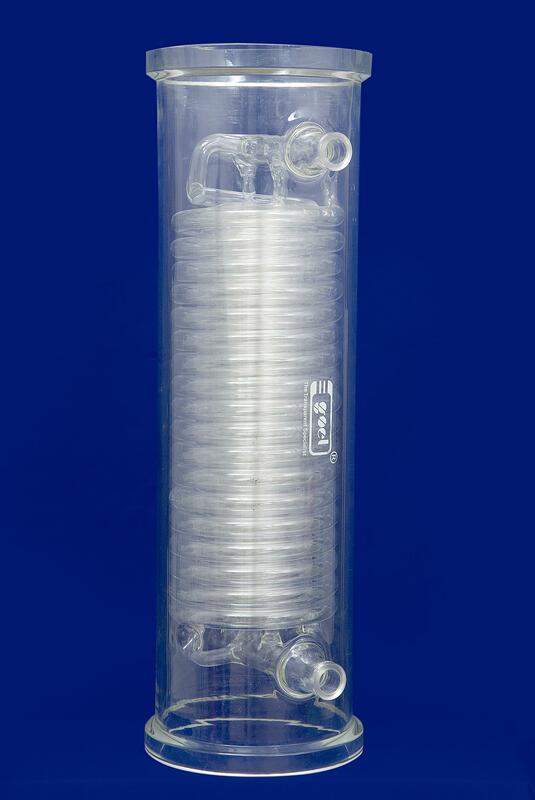 200 L Jacketed Reactor. 9. 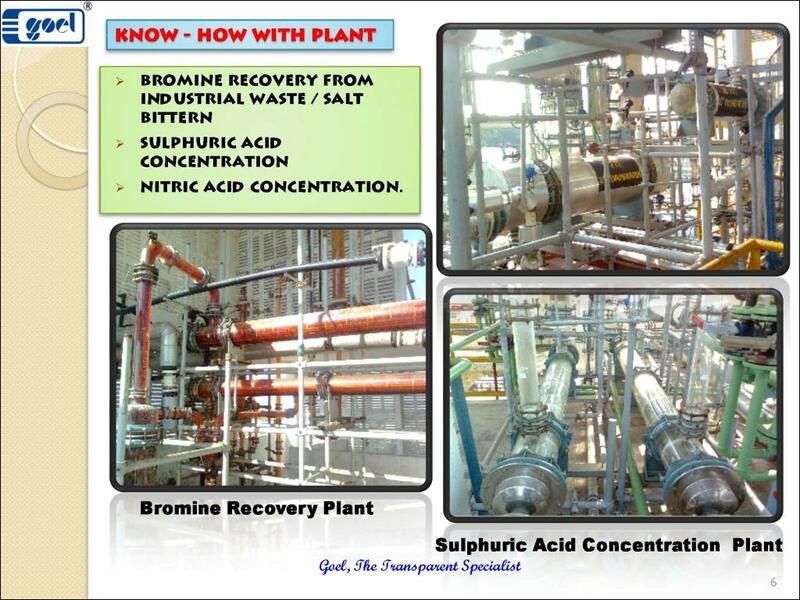 Scrubbing system for HCl, Cl2, Br2, HBR, Nox, H2S , Phosgene etc. With this email, we have attached few of our leaflets to brief you about our activities.